Florian lived between the 3rd and early 4th centuries. He was a veteran of the Roman army and lived in Austria. According to tradition he saved a town from burning down by throwing a single bucket of water on the flames. In 304, he was arrested for his faith and thrown into the River Enns with a millstone around his neck. 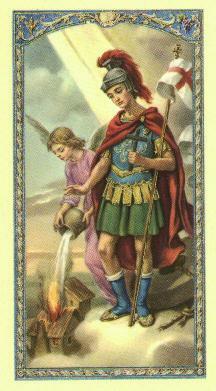 Saint Florian is the patron Saint of firefighters.